Some books are better together. Around here, we talk a lot about “book flights,” an idea I borrowed from wine. A wine flight groups carefully chosen varietals or vintage together, to better allow tasters to sample, compare, and learn. I love a good wine flight, yet I’m much more comfortable in the world of books—and so I really love a good book flight. While I frequently read books willy-nilly, prioritizing the new, the recently recommended, or whatever reserve request just came in at the library, I’ve found there are real advantages to purposeful literary match-ups. To stay on top of each week’s picks and get access to your updated printable “brackets” (to serve as your shopping/library list), subscribe below. Print your brackets, grab your highlighter, and start planning what you want to read next. 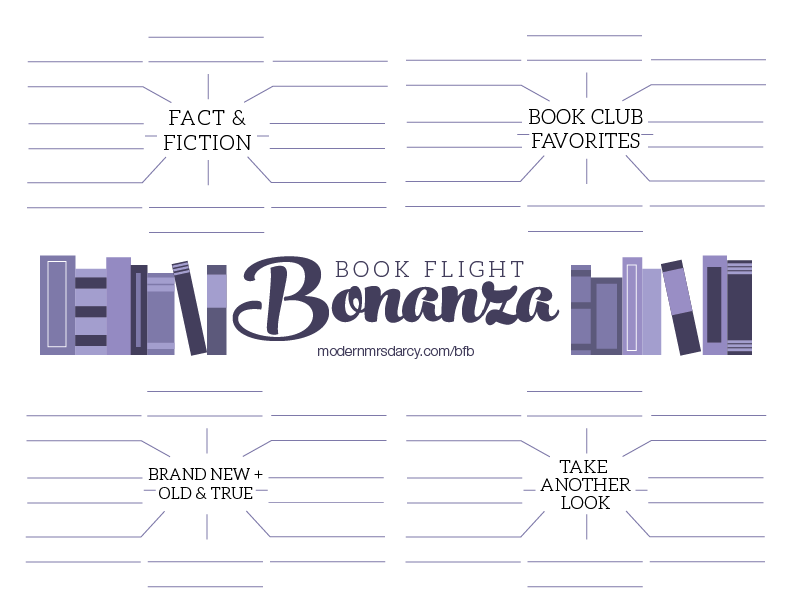 Subscribers will get those printables in their inbox automatically with each new Book Flight Bonanza post. That’s the blank “bracket” above. We’re kicking off our reading festivities today, filling in our first “region” with eight flights (that’s sixteen books) that pair terrific novels with illuminating nonfiction. 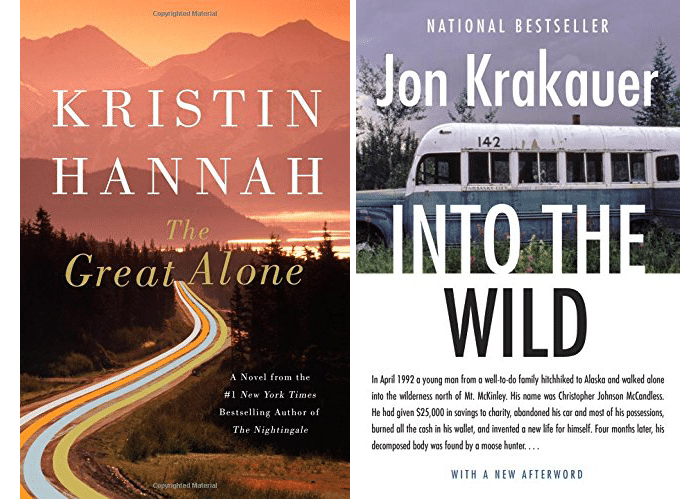 I inhaled Kristin Hannah’s long-anticipated new release about a family struggling for physical and emotional survival in the Alaskan wilderness. 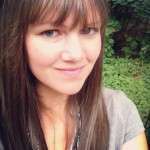 Hannah writes, “There’s a saying: Up here you can make one mistake. 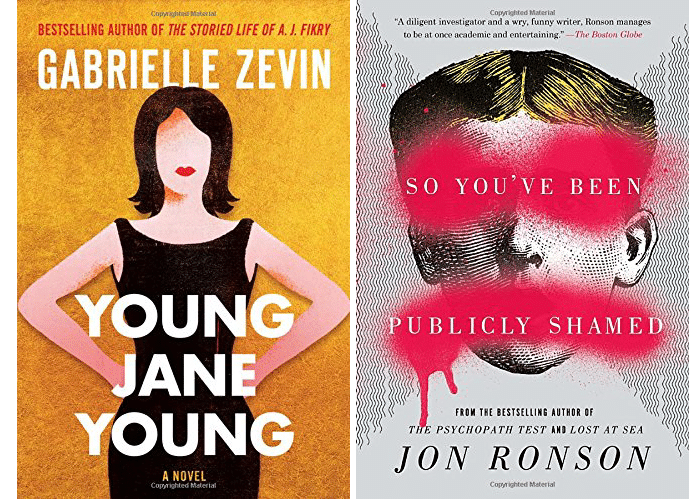 The second one will kill you.” It’s so good—we’ll be reading it in the MMD Book Club this summer. Pair this with Krakauer’s pageturner about a young man who wanted to live the unadorned life in the Alaskan, and who made his second mistake just 16 weeks after entering the Alaskan bush. Jones’s newly-released novel is getting all the love for all the right reasons: she turns the racial injustice of mass incarceration—which she has called the “most pressing civil rights issue of our day”—into the backdrop of a novel about how that injustice impacts the experience of being black in America today. Roy and Celestial have been married a year when he is convicted for a crime he didn’t commit. He is eventually released, but the consequences remain devastating. This pairs superbly with Stevenson’s nonfiction, story-driven account of his work with the Equal Justice Initiative, which defends the wrongly accused, addresses why these false convictions happen in the first place, and offers solutions for how to change that. In 1920 Germany, a woman named Anna Anderson was pulled out of a canal in Germany, claiming to be Anastasia Romanov, and bearing the scars of a violent attack. In her latest historical novel, Lawhon uses an unusual structure to tell both stories, that of Anna Anderson (going backwards in time, from 1970), and that of Anastasia Romanov (beginning in 1917 when the family is taken prisoner, and moving forward in time). When the two stories converge, all is revealed. 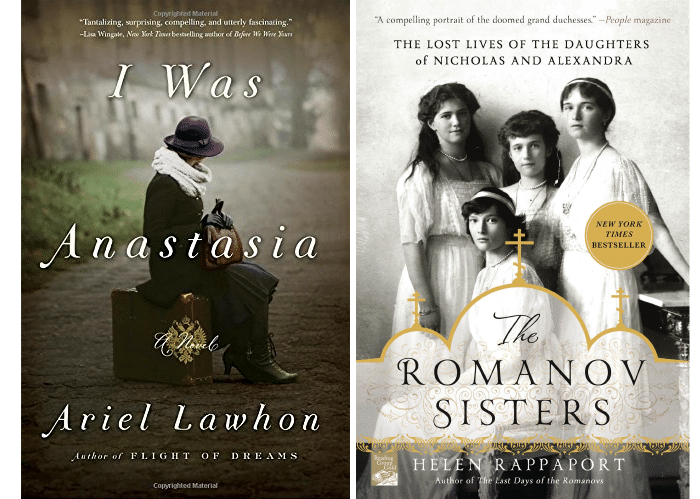 Helen Rappaport’s bestselling and highly-rated history about the four Romanov daughters and their mother makes an excellent companion. Jiles tells a spare story of two unlikely friends—one a retired Civil War captain, one a ten-year-old girl rescued from the Indians who captured her as a babe. It’s indexed as a Western, but if that genre makes you want to run and hide, have no fear. More than anything, this is a story about family—the kind you’re born to, and the kind you make. 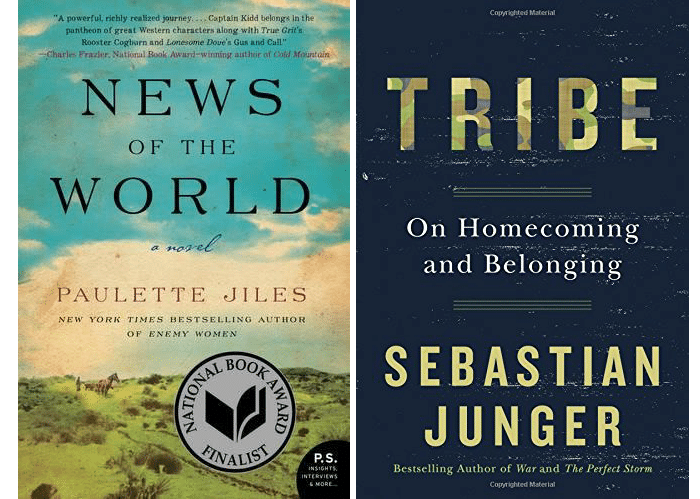 Junger’s nonfiction work explores loyalty, belonging, and our shared quest for meaning, and these themes match perfectly with News of the World. This slim work is pithy, insightful, and paradigm shifting. Lathan’s well-crafted YA release smoothly bridges the divide between present-day Tulsa, Oklahoma and the little-known race riots that occurred there during two terrifying days in 1921. Latham’s story flips back and forth in time, between two teens of mixed descent living a century apart, but who each face their own kinds of crossroads, giving readers a page-turning history/mystery mash-up, as her young protagonists wrestle through issues of family, friendship, and identity. 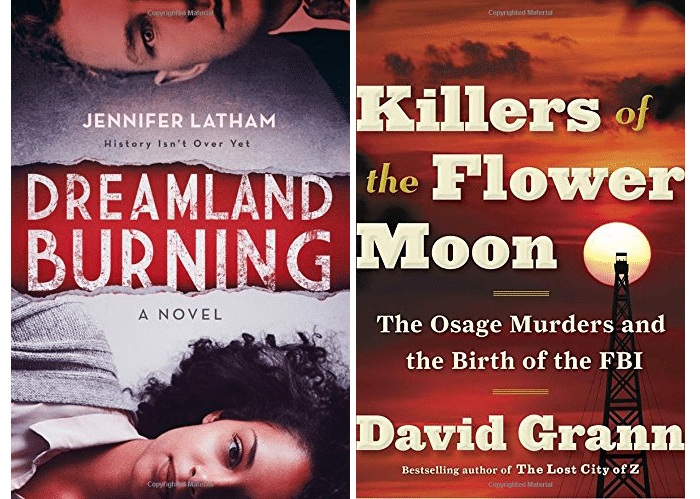 Gramm’s true crime story reads like a thriller, and addresses a theme we see throughout Dreamland Burning: the identity, heritage, and wealth of the Osage Indian nation. In 1920s Oklahoma, members were among the richest people in the world, thanks to the vast oil reserves that lay beneath their reservation. But during the period of 1921-1926, more than two dozen Osage died suspiciously in the “Reign of Terror,” and when corrupt local law enforcement repeatedly bungled their cases, J. Edgar Hoover came in, making a case for a national, more professional police force in the process. Ward’s National Book Award-winning novel follows a Mississippi family living in dire poverty during the twelve days leading up to Hurricane Katrina and its aftermath. 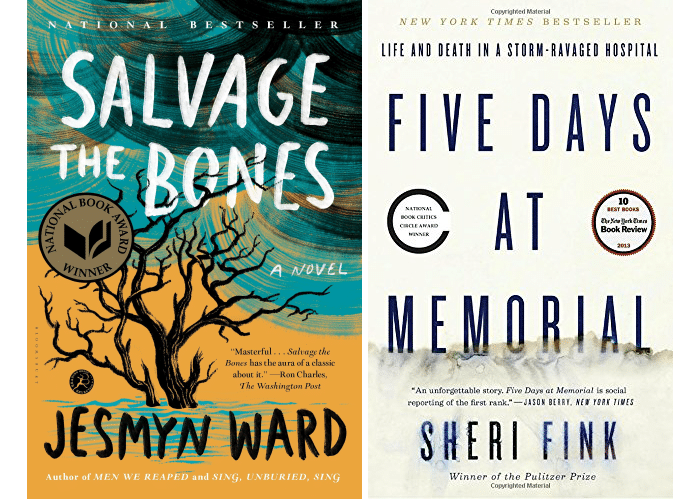 Ward’s beautiful prose contrasts starkly with the pain and grit of her story, though she doesn’t leave her characters—or her readers—without hope. 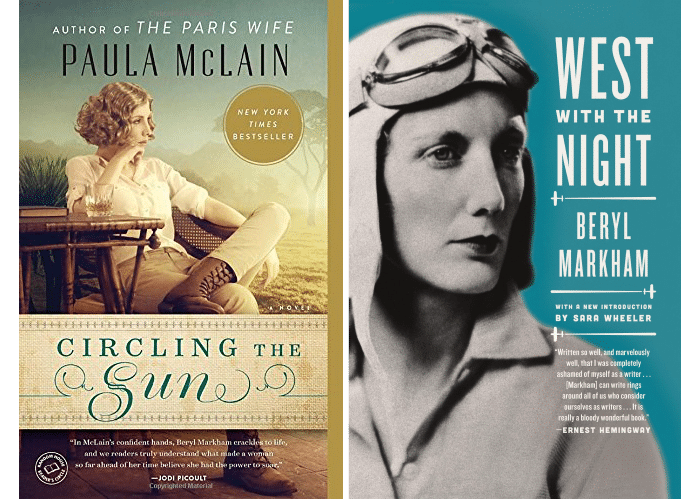 In the spirit of her debut The Paris Wife, McClain’s biographical novel chronicles the life of Beryl Markham, who is best known for her 1936 solo flight across the Atlantic. Markham was the daughter of British colonials, raised in East Africa’s Mau Forest “before Kenya was Kenya.” She’s known as an aviatrix, but McClain clearly relishes highlighting how Markham enjoyed flouting conventions of all kinds. 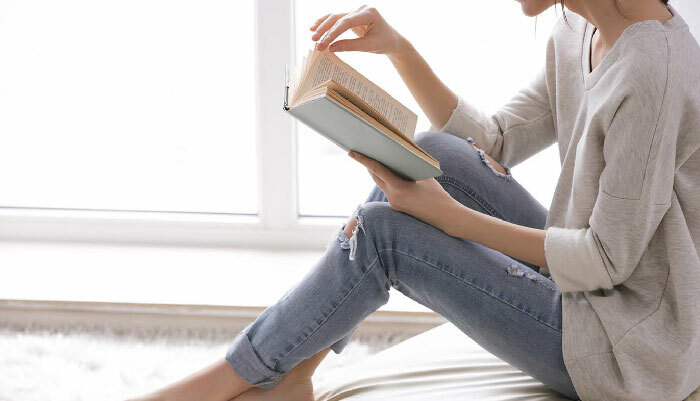 The Storied Life of A. J. Fikry author Gabrielle Zevin’s newest release probes serious issues yet is tons of fun to read: it’s the story of a young Congressional intern who sleeps with her boss, spurring a political scandal that ends her career, but not his. Thankfully, that’s just the beginning of the story, which unfolds through the eyes of three generations of affected women. Ronson’s nonfiction work about public shaming in the social media era is an absorbing read that’s also more than a little terrifying for anyone who ever uses the internet. Great match-ups! I have several of the matches in my TBR so I think I will in fact try to do them as pairings. I love this idea which first hit me last month when I posted about the An American Marriage/Just Mercy pairing on your Instagram-glad you agree that it’s a good one 🙂 As a bonus pick, I’d add The Sun Does Shine: How I Found Life and Freedom on Death Row by Anthony Ray Hinton, one of the people Bryan Stevenson helped and talks about in Just Mercy. I mentioned it in the same post-it’s out 3/27 and it’s so so good. 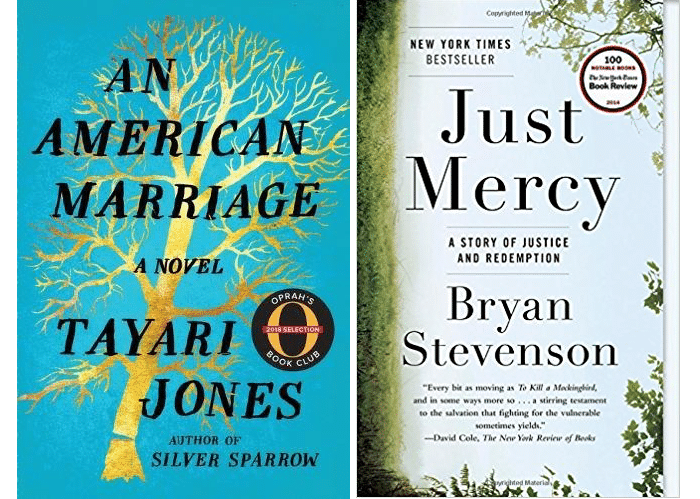 Thanks for the bonus pick on Just Mercy pairing–the Hinton book is on my WTR list, after having devoured Just Mercy (and having the privilege of hearing Bryan Stevenson speak in my area two weeks ago!). I love this idea a lot!!! Can’t wait to follow (and read along!). I have “Taking Flight” on my TBR list already. Both are on my Kindle! The Rise of the Rocket Girls (Which covers the “girls” across the continent at the Jet Propulsion Lab (JPL) in Pasadena. It was interesting to read both since NASA & JPL were essentially rivals during much of that timeframe. 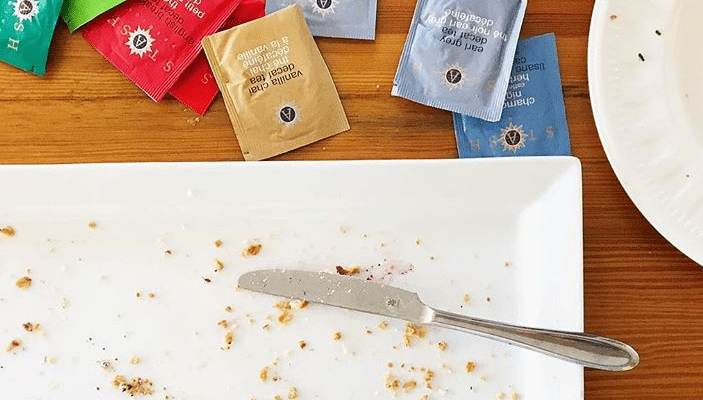 Wow – you’ve outdone yourself. ? I love making connections between books! Great idea! One pair I thought might work is matching Prairie Fires with Out of the Dust. Thank you – what a fun idea for a bookish March Madness! A Fact & Fiction pairing I read was Kristin Hannah’s The Nightingale and Resistance: A Frenchwoman’s Journal of the War, a diary by Agnes Humbert, a member of the French Resistance. Hannah mentions the diary in her notes at the end of The Nightingale. Both stories were amazing. I love this idea! Can’t wait to start reading. Heading to my library this week! I just reread Being Mortal, and I feel like there must be some fantastic pairing there. Maybe Our Souls at Night? Or Me Before You? Not a fiction pairing but I think When Breath Becomes Air or The Bright Hour: A Memoir of Living and Dying would be great with Being Mortal; real life experience and perspective from people living (and dying) the themes in that book. A fiction pairing that I think would be great with Being Mortal would be either of two books by Lisa Genova: Still Alice (about a woman who is a university professor and diagnosed with early onset Alzheimer’s Disease – it’s also been made into a movie), or her latest book, Every Note Played (will be published on March 20th) about a man who is a concert pianist and is diagnosed with ALS. Loved both of those books! I second that! Markham writes stunning prose of selected scenes from her life, and I was glad to have those images in my mind before reading Circling the Sun, which helped fill in some of the blanks. Absolutely loved these books! Thank you Anne for these fun pairings! You may want to read Out of Africa first. It has a different slant on the same time period. West With Night could be second. That is how I read them long ago. Time to read Circling the Sun. ? Oh Anne! You are killing me! I honestly don’t know where to start. Thank you for all you do. 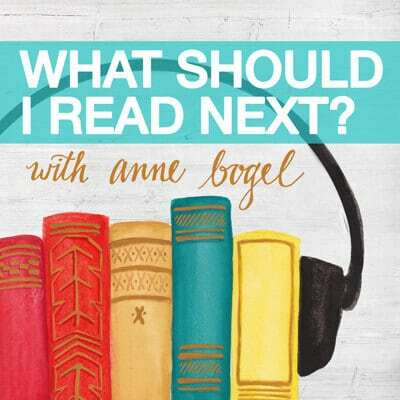 I’m curious if you have an opinion about whether to read the fiction or non-fiction first? I recently read Nothing to Envy: Ordinary Lives in North Korea, and thought it would be a great companion read to The Orphan Master’s Son, which I read a few years ago. I heartily second these books and this pairing. What a heartbreaking but illuminating set of reads. I got on a roll last year and read Americanah, Born a Crime and The Hate U Give all together. I also just finished Homegoing which I think rounds put that flight nicely! All were very interesting with different perspectives on a similar topic. Kristin, I just finished Born a Crime and I’m halfway through The Hate U Give. And I’m on hold for Homegoing. We were thinking alike!! These are all fantastic! I think I naturally do lots of “book pairing” myself. 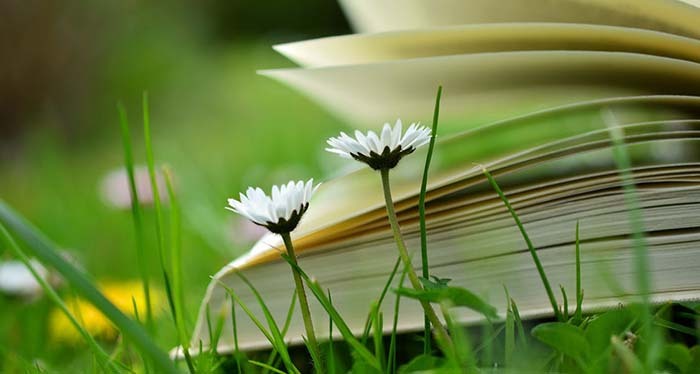 When I read something I love, I usually find something else about that topic to read right away. I recently read The World of Laura Ingalls Wilder by Marta McDowell along with Caroline by Sarah Miller. Loved them both! Also Daphne du Maurier’s Rebecca and Manderley Forever by Tatiana de Rosnay! What a fabulous concept Anne! I’m on the waiting list at the library for ‘The Great Alone’ so will tackle ‘Into the Wild’ while I wait. Thank you! Being both a lover of books and college basketball, you couldn’t have created a more delightful “bracket” than this, Anne! Bracketology is a way of life in our house–coupled with reading great books! Wahoo–and whee! For another pairing suggestion, I would add “The Lilac Girls” (Martha Hall Kelly) and “A Train in Winter” (Caroline Moorehead). Just finished reading Circling the Sun and recommended it to friends. Will read West with the Night to complete my first pairing. I love this idea, and oh I want to read them all! And so my TBR list grows and grows. I love the idea of pairing fiction with fact, especially as I have a hard time finding nonfiction that draws me in. A couple of these (fictions) were already on my list, so I will add their pairings as well. Circling the Sun and West with the Night were on my radar from when you first mentioned them in a podcast, Anne. Also I am intrigued by I was Anastasia, so that makes a second pair. I would pair As Bright As Heaven by Susan Meissner with The Great Influenza by John M. Barry. I’m so excited about this! I have two of these novels sitting on my TBR shelf, so I’m going to start with those and pick up the pairings! I love this idea so much!! “Wine & War” by Don and Petie Kladstrup, telling the story of French wineries, vintners, and townspeople who formed their own resistance group of sorts to protect French grape crops and wines from Nazi pillaging. All these books sound interesting! I’ll pass this along to my book club. I am moving Paula McClain’s book up and adding Beryl Markham to my stack. I’ve been wanting to read both of these and now I can’t wait. This is such an excellent idea, well done! I’m interested. Looking into both titles in just a minute. Which first? I so love this concept of pairing, bracketology, flights. Two thoughts: 1. Seems to me that there should be a suggested wine for each pairing… or a suggested basketball game to match each! 2. For each of these pairings, which is suggested as “read first”? I read Travels with Zenobia (diary of Rose Wilder Lane during a trip to Armenia) followed by A Wilder Rose by Susan Wittig Albert back to back and it was amazing how Albert just continued her voice from the diary right into her book (it chronologically follows the diary). The diary can be hard to find – I had to ILL it. Interesting that although I usually read fiction, of the pairs listed here that I’ve read, I preferred the non-fiction in every case (Tribe, Killers of the Flower Moon, and So You’ve Been Publicly Shamed). I should read more non-fiction! And I love the idea of pairing fiction and non-fiction. Amazing. ‘A Fierce Radiance’ by Lauren Belfer, which is a fascinating novel about the early attempts to learn how to use penicillin to treat infections and also touches on the difficulties in scaling up production of the newly-discovered wonder drug. There is also a fascinating look at how attempts were made to extract antibiotics out of soils and purify them for use. I’d suggest pairing this with ‘The Mold in Dr. Florey’s Coat’ which is a historical account of Howard Florey and the work he and his team did that took the next step beyond Fleming’s observations about how the mold affected bacterial colonies. I recently finished In the Kingdom of Ice: The Grand and Terrible Polar Voyage of the USS Jeannette and thought it would be a great pairing for Dan Simmons’ The Terror, which is a fictional account of a similar real-life ship voyage that really caught my imagination a couple of summers ago…and now is coming out as a mini-series on AMC! This is such a great idea, Anne! Can’t wait to try a couple of these flights. Purely by chance I’m reading Another Day in the Death of America, Gary Younge (nonfiction) and Peace Like a River, Leif Enger, at the same time and they go so well together with the theme of gun violence and the impact on family/community. Didn’t plan it but it’s made each book more meaningful. I just happen to have Young Jane Young, and So You’ve Been Publicly Shamed on my nightstand! So many of these book are already on my TBR list, I can’t wait to check them out with their recommended pairings. Oooh! I like this one! Thanks for the suggestion! Anne, I am indeed intrigued! I have never thought about book pairing before, what a challenging idea. You’ve captured me, I’m picking up Circling the Sun: A Novel and West With the Night right away. Equally challenging is thinking about books I would pair, I’m going to have to spend some time on that. Thank you for sharing this whole new way of looking at books and deciding which pair to read next! Not a fiction/non-fiction pairing, but in January I started reading The Lady in Gold by Anne Marie O’Connor. About half way through I realized I had Monuments Men by Robert M. Edsel on my Kindle and began reading that simultaneously. I’ll have to try this pairing thing again in the future, because I really enjoyed how I got a fuller picture of the time period and topics. just wondered if you have read “to the bright edge of the world”? a wonderful book about the Alaskan frontier also- maybe could be triple flight with the “great alone” and “into the wild”. I love this list! I recommend Pachinko by Min Jin Lee paired with Without You There is No Us by Suki Kim. I know Pachinko has been mentioned on the podcast. While the Suki Kim book does take place later in time (2011), it was a fascinating look inside North Korea. I kept thinking about the future dictatorship and continued oppression of the people while I read Pachinko. These pairings are so clever and perfect! This is so brilliant Anne. Just found your blog and thrilled to have a little strategy in approaching my reading. Thank you so much!! I just realised, reading through this list, that I’ve been doing this subconsciously for a long time! I love great non-fiction that sheds new light on novels I’ve loved. I’ve recently picked up The White Mouse, an autobiography by Nancy Wake (who was a secret agent during WWII, and an all-round badass woman!) – I’m hoping it will add a new layer to the other WWII books I’ve been reading lately. I read The Paris Wife (Paula McLain) then a Moveable Feast (Hemingway), and threw in The Sun Also Rises as they were all in the same time period in Hemingway’s life. Truth and Beauty (Ann Patchett) and The Story of a Face (Lucy Geary). My most recent book flight was All The Light We Cannot See, The Nightingale, and Unbroken. I really enjoyed reading these back to back.